Badges adhere firmly and remove easily. 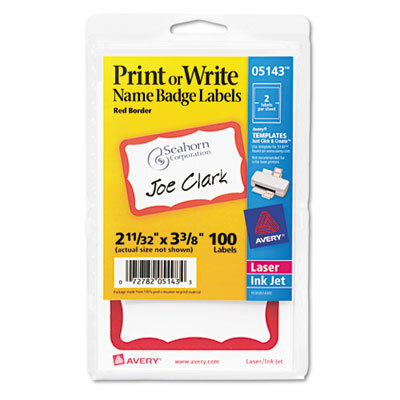 Ideal for identifying individuals at offices, schools and special events. Designed for most fabrics except vinyl, leather, suede, silk, velvet, corduroy or plastic. Displays issue date and expiration date for added security. Name Badge Label Special Features "Hello"